River City Blackhawk: Moose Season..begins! I know, it's actually a few weeks into the season already and it's taken me almost a month to update this blog. 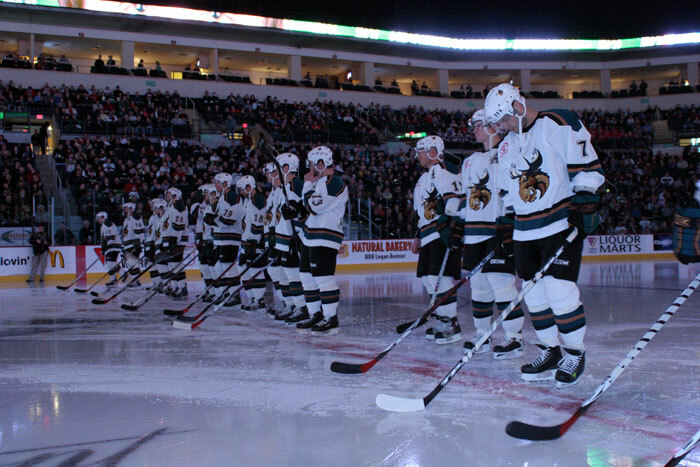 Yeah, I'm kind of excited, the last two seasons for the Manitoba Moose have caused this season to be one of great anticipation, but maybe the expectations are too high. 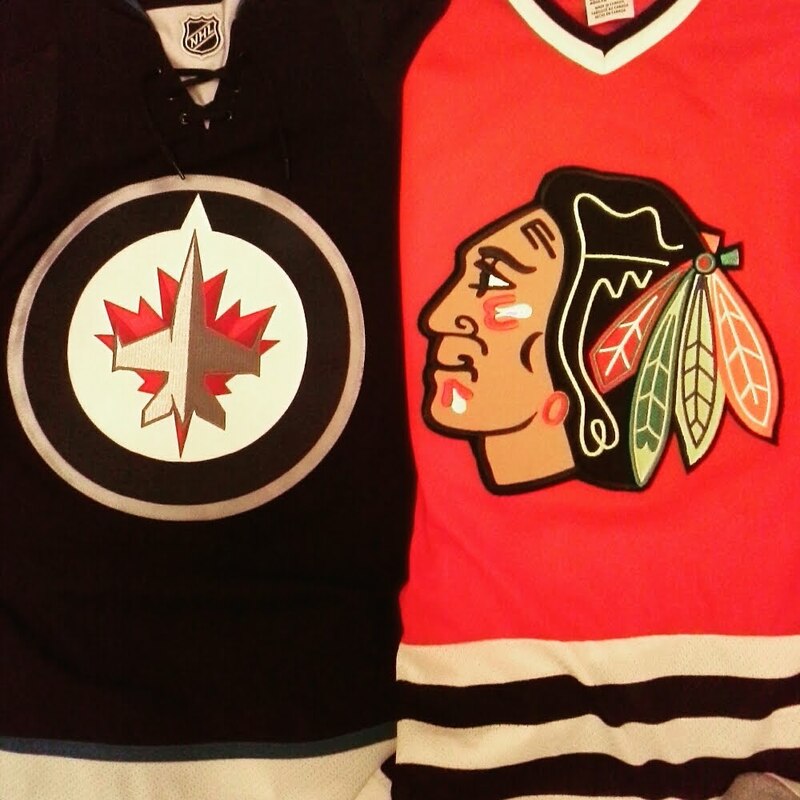 We've been spoiled, in those two seasons, we had the opening of the MTS Centre, the NHL lockout, two exciting playoff runs and the AHL All-Star game. I attended the home opener last Friday with it's smoke and mirrors opening ceremonies, which led to a disappointing loss to the Philadelphia Phantoms. The team was already 1-2 coming into their home opener , so really it wasn't too much of a surprise, but they just came out really flat and uninspired. 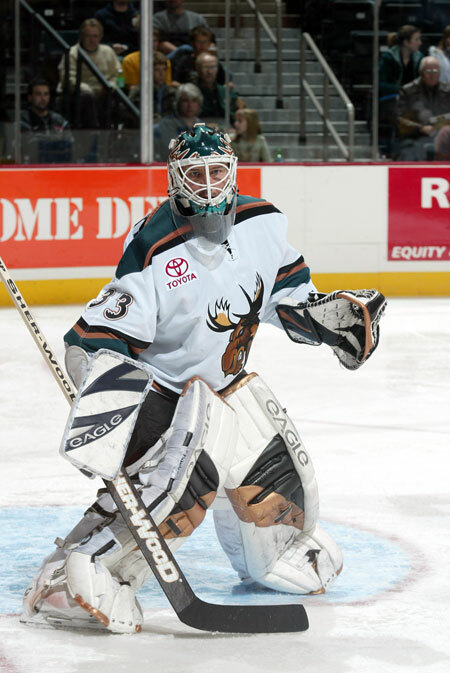 Despite the return of veteran (last year's MVP) Wade Flaherty, the Moose had a better line-up that wasn't dressed, as regulars such as Lee Goren, Brandon Reid, Maxime Fortunus, Jesse Schultz and Adam Keefe all sat out with injuries. They redeemed themselves the next night, in the rematch, with a much more spirited effort to squeeze out a 2-1 win. It's good to see guys like Josh Green and Alexander Burrows still with the Canucks, but Flaherty probably had his last shot at the NHL, good for us, not so good for Wade. I suppose he could still be picked up on waivers if they attempt to move him back and forth from Vancouver, if there's an injury, I hope he gets another chance soon, he deserves it. 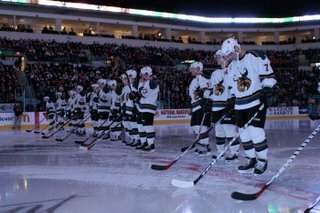 Let me know how you think the Moose will do this season, and of course how you think the NHL season will pan out, it couldn't possibly be as exciting as last year, could it?